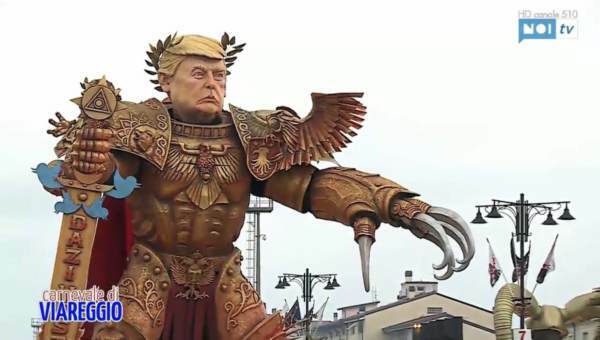 The Viareggio Carnival celebrated 147th years on Saturday, February 9, 2019. The parade is a long-established European tradition of Carnival festivals. It is one of the best known events in Italy. 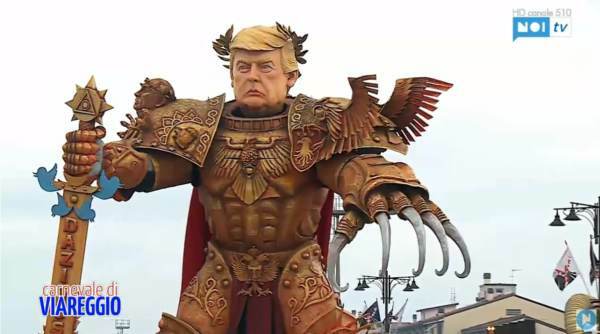 Each year the Viareggio Carnival attracts more than 600.000 spectators who gather to attend the magic of the grand parades of large floats of papier-maché. 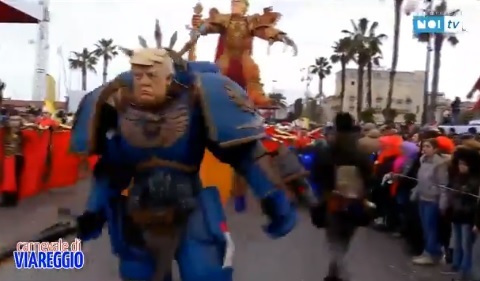 The year the highlight of the Viareggio parade was a multi-story papier-mache God Emperor Trump complete with giant Twitter sword.